Larissa Herczeg is a Managing Partner and CIO of the Seeding & Strategic Capital platform at Oak Street and a member of the firm’s investment committee. Larissa Herczeg is responsible for all aspects of Oak Street’s Seeding & Strategic Capital business, including investment sourcing, due diligence, selection and portfolio management and reporting. Prior to joining Oak Street, Larissa Herczeg was responsible for global real estate investing at Morgan Creek Capital Management (Morgan Creek), including all aspects of sourcing, due diligence and portfolio monitoring and reporting. Prior to joining Morgan Creek, Larissa Herczeg was employed with Franklin Templeton Real Estate Advisors and the Credit Suisse Customized Fund Investment Group (CFIG). 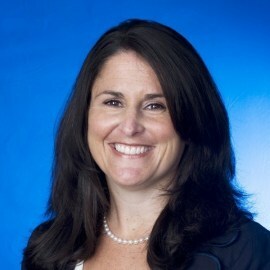 In each of these positions, Larissa Herczeg was responsible for sourcing, conducting due diligence on and monitoring a real estate portfolio of direct and indirect real estate investments, and was also involved in relationship management and business and product development for private equity and real estate clients. Prior to joining CFIG, Larissa Herczeg was an associate in the corporate finance group of the global law firm Clifford Chance US LLP. Larissa Herczeg received a B.A. with honors in Government and Economics from the University of Notre Dame, a Master’s degree with honors in International Affairs from Columbia University’s School of International and Public Affairs and a Juris Doctor degree with honors from Columbia University Law School. Larissa Herczeg is a co-founder of Women In Real Estate, a mentor for the Toigo Foundation and has served as a guest speaker at the University of California-Berkeley, the University of Notre Dame and the Kellogg School of Management at Northwestern University.